Musicology Now: Brahms, Clara, and Op. 78. NOTE: The following excerpt from Brahms Among Friends (Oxford UP, 2014) treats the Violin Sonata, op. 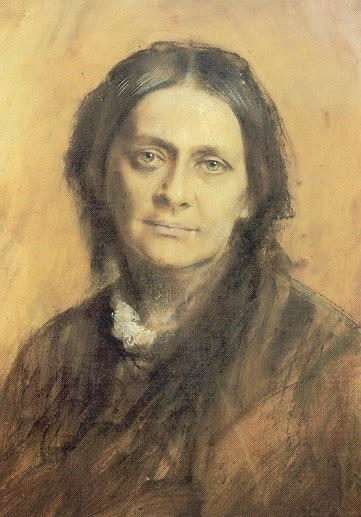 78, and its connections with Clara Schumann and the death of her son Felix. Opus 78 is sometimes called the “Rain Song Sonata” for its allusions to Brahms's Lieder “Regenlied” and “Nachklang,” from op. 59. Brahms Among Friends is no. 12 of AMS Studies, a series undertaken by the society in 2002 (see all titles HERE). Correspondence shows that Brahms might well have considered the sonata's overarching trajectory a direct complement to [Clara's] current mood. Two letters addressed to him survive from the months between Felix's death and the release of the complete work in manuscript form. Both conveyed clear evidence of ongoing sorrow, along with direct attempts to resist depression. May of 1879 found Clara guardedly optimistic, at least insofar as she was willing to admit to Brahms: “I often feel the clouds draw near my spirit, but they do not burst—I am constantly on the lookout.” The following month brought a return to darker ruminations. The immediate trigger was a depressing report concerning her eldest son, Ludwig, whom she had committed to a mental institution nine years prior, but her youngest still weighed heavily on her mind as well. She compared the two explicitly in a letter dated June 21: “Such a poor, miserable man lives on now, and the other, the intellectually gifted, to whom life stood open with all its attractions, dies. Why?” Within days of receiving Clara's brutally honest question, Brahms mailed her the complete version of the violin sonata. At the time, any new opus would surely have provided a welcome distraction regardless of genre, form, or mood. Given its allusive gestures and the curve of its unfolding, however, this particular work could also stir up and redirect the emotions of the moment in specific and positive ways. Like the allusive songs that Brahms had fashioned for Clara earlier in the 1870s, Op. 78 ultimately offered equipment for living as well as grist for performance or contemplation For a mind and body properly attuned to their appeal, musical structure and extramusical correlates could redirect the melancholic cast of present circumstances in the service of pleasure, closure, or—at the very least—change. Such change might have touched Clara without her conscious effort or awareness. Particularly in a piece of instrumental music, the playing of her piano allowed her to imagine and enact complex adjustments in attitude without cataloguing their effects or relating them explicitly to the contours of her emotional life. By the same token, if she did perceive intentional connections between Brahms's music and her own recent bereavement, those connections may well have manifested themselves to her in ways incompatible with verbal description. Her initial written responses to the sonata stressed her own inability to explain how and why the piece had moved her so deeply. “My pen is poor, but my heart beats toward you”—“Many may perhaps understand better how to speak of it, but no one can experience it more than I.” Yet Clara's attempts to describe the ineffable also preserve hints that the finale had indeed struck her as transformative in relatively concrete ways. Not only did the last movement receive the lion's share of commentary in her letters; her descriptions of the borrowing from Regenlied and Nachklang signaled subtle but important shifts in her attitude toward the songs themselves. Already in her first response to Op. 78, she claimed: “I don't believe that one person perceives that melody as blissfully and melancholically [wonnig und wehmutsvoll] as I.” In previous correspondence the songs had always been associated unequivocally with sadness, but now an alliteratively paired opposite softened her characterization, balancing the emotional toll of nostalgia against the rewards of imagined contact with the past. One can only assume that the delicately uplifting close of the finale had helped to alter Clara's stance. Within a few weeks, she went on to single out these measures as the pinnacle of the work as a whole, the apex of its affective arc. Her second response to the piece was dominated by the final, major-mode version of the borrowed song incipit—“the climax of the first melody in the last movement, where it comes back for the last time and rolls back and forth, melancholically, yearning!” Her enthusiasm was not confined to July 1879. To the contrary, the passage remained the focal point for future interactions with the sonata. Perhaps the most tantalizing of these came more than a decade later. 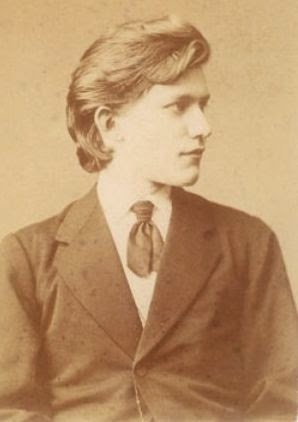 In a letter dated June 16, 1890, she told Brahms of a recent performance of Op. 78 at her home in Frankfurt: “Joachim was with us on the 8th (Robert's 80th birthday), for two days we played a great deal, once more the Rain Songs sonata, which I reveled in again—I always wish that last movement for myself at the passage from here to eternity.” In the aging pianist's imaginary, the end of the movement eventually became a bridge to the infinite, its plagal benediction and bittersweet thematic transformation carefully positioned as the final sensory experiences of her own life. Her letter therefore drew together and recombined a complex of extramusical connotations analogous to those Brahms might have planned or predicted when he first sent her the completed sonata: the approach of death, the memory of a departed male relative, and the gradual achievement of a broader perspective on loss and the passage of time. At least in retrospect, Op. 78 had fulfilled its potential as an agency of consolation and transformation. Paul Berry is Assistant Professor of Music History (Adjunct) at the Yale School of Music. A historian of 19th-century chamber music and song, he received his BA and PhD from Yale University and has served on the faculty of the University of North Texas College of Music. Among his awards is a fellowship from the National Endowment for the Humanities. He is also a active as a tenor, specializing in early music, German Lieder, and new compositions.